Sell your Saab today and our team of experts will help you through the entire sales process. We buy all models of Saabs with any mileage and in any condition. We buy cars in a safe and convenient way that gives you immediate payment for your Saab. There are other ways to sell your Saab but they may take longer than you anticipate and may not give you the full value of what your car is worth. We can offer a trustworthy and simple way to sell your Saab. 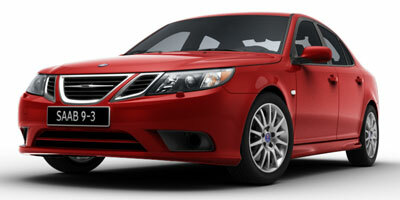 Just enter your car’s details online, and receive a valuation for your Saab today. If you need any advice simply get in touch with one of our Saab experts, they will provide you with first class customer service and a wealth of invaluable information. Sell your Saab to us today. Saab automobiles were originally designed by a Swedish company who later sold the company to General Motors. The vehicles were produced successfully under General Motors until 2010, when they were sold to another Swedish company called Spyker. Saab vehicles are luxury automobiles. The brand has been marketed as a respectable and safe car with luxurious amenities. Saab was extremely popular in suburban America as well as other countries. Some of the more popular Saab models include the Saab 900. The Saab 9-3 was the newer version of the Saab 900, which was given a more modern look, with contemporary features and amenities. The Saab 9-5 was also very well received by Saab customers.